Perfect for spices, seasonings, condiments, and toppings, the Vollrath 90942 Super Pan 3® ninth-size pan measures 4.25 inches long by 6.9375 inches wide by 4 inches deep. This durable stainless steel pan holds 0.9 quart of product. Pouring product from the pan is easy since the corners have a spouted design. When stacked with other pans, lugs prevent it from getting stuck. 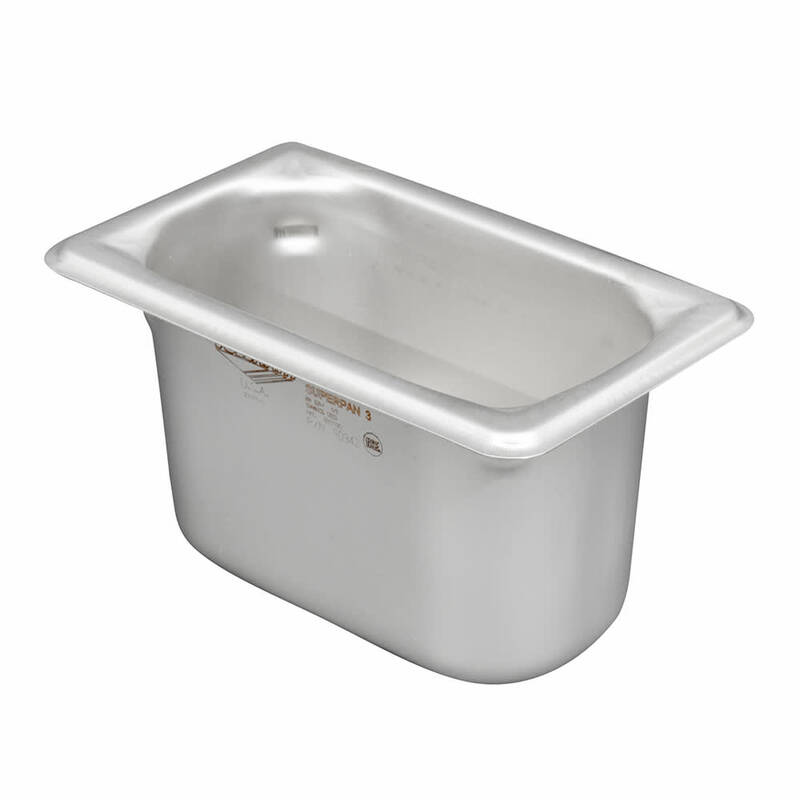 In our steam table pan size guide, we cover the sizes and capacities of these pans.